Turn to Majors Home Improvement when you need durable vinyl siding for your home in Crestview, Florida, or a nearby city. We install siding our Majors Select siding, because we believe in providing our customers with the very best product on the market. Our siding is available in a range of different colors, with technology that resists fading. Best of all, you’ll only need to wash off the vinyl siding with a garden hose from time to time to keep it clean. 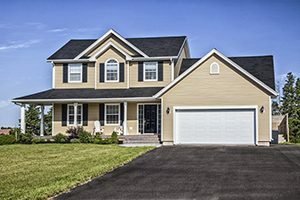 It is energy efficient, wrapping your home in a 1½” thick insulating layer, which is the thickest EPS foam available in one-piece insulated siding. It has a vinyl surface that repels rainwater and stands up to damage from normal wear and tear, maintaining its beautiful appearance year after year. At Majors Home Improvement, we have served homeowners throughout the area since 1997, providing Red Carpet Service that ensures you are given the personalized treatment you deserve. It’s due in part to this commitment to customer satisfaction that we have maintained an A+ rating with the Better Business Bureau and a five-star rating with GuildQuality for many years. To speak to a representative about beginning a vinyl siding project at your home in the Crestview, FL, area, contact Majors Home Improvement today. When you do, feel free to ask about our financing options.